The two-time Academy Award winner ("Dangerous" - 1935 and "Jezebel" - 1938) is generally considered to be one of the greatest screen actors of all time. Her name is synonymous with films of substance and quality, and she managed to secure riveting roles well into her 50s and 60s in the 1950s and 1960s. She was one of those notoriously tough women in Hollywood who stood up to directors, producers, studio executives, and costars with unheard of regularity. She was an accomplished actress who is still heralded by many as the benchmark for cinematic quality. 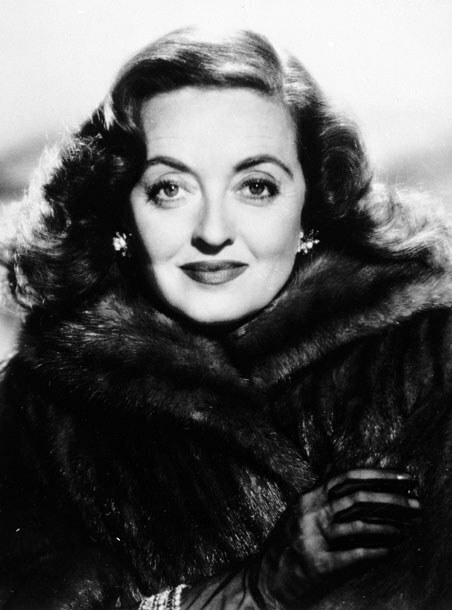 Davis received her tenth and final Oscar nomination for her role as the titular antagonist in 1962's Whatever Happened to Baby Jane?, invariably proving her hireability as an actress well into middle age. 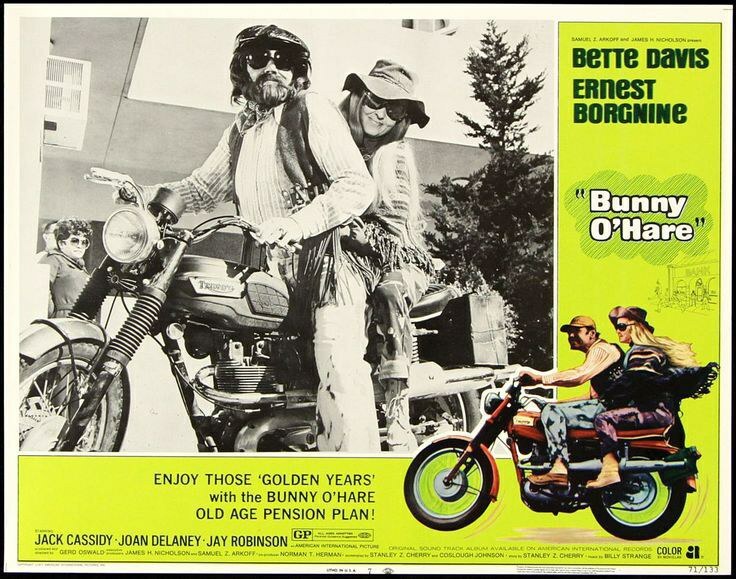 Nine years after her historic tenth nomination, Davis starred in Bunny O'Hare, this week's film up for redemption. Starring alongside the formidable Davis is fellow Academy Award winner and former costar Ernest Borgnine (who many of you might recognize as the voice of Spongebob's Mermaid Man). Nine years, even for an accomplished and universally respected actress like Davis, is three eternities in the entertainment business. In that time, the greatest actor in the world can fall from grace, die, or, worst of all, be reduced to guest starring on CBS sitcoms, and this flimsy movie reflects Davis' quickly-diminishing hireability in Hollywood. In the film's first scenes, Borgnine, a blue-collar worker later revealed to be a wanted bank robber, removes the toilet from the foreclosed home of Davis' character. In a demonstration of inexplicable kindness, he offers her a ride and then subsequently attempts to abandon her, repeatedly. After learning of his status as a wanted criminal, Davis blackmails him into helping her rob a bank. Naturally, they dress as hippies to pull off their robberies, because a dignified actress like Bette Davis could never act the role of a criminal without wearing bellbottoms and a poncho. Davis' Bunny O'Hare is an easily pitiable character; a bankrupt elderly woman whose ungrateful children cannot and will not help her. And yet the material is so offensively bad given the combined talents of the cast (including a post-"Addams Family" John Astin) that this pity quickly gives way to frustration. The jumbled elements of the film are equally insulting to the actors and the audience; from the contradictory elements of Davis' O'Hare (she cannot abide excessive drinking or swearing yet steals without remorse, though with substantial reason) to the banjo-laden soundtrack to the inexplicable friendship between the two leads. At one point, early on in the film, Borgnine attempts to leave Davis in the middle of a damned desert, and yet they still maintain a partnership. 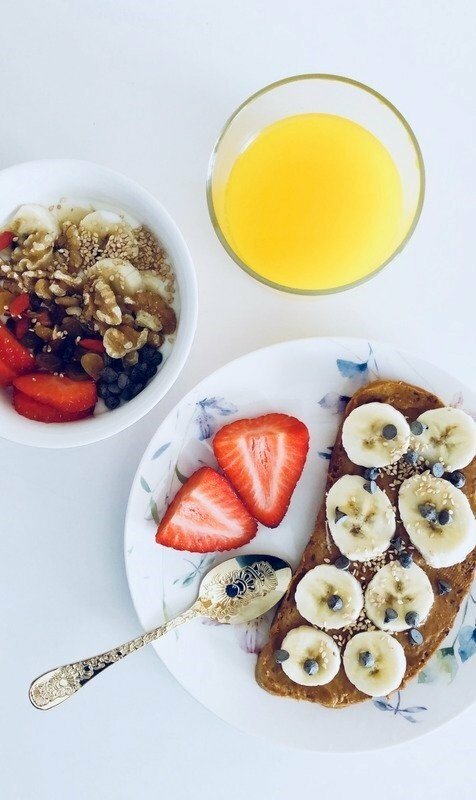 The biggest offense, ultimately, is the fact that their successful robberies are predicated on the fact that they can pass as youths, with one newspaper article referring to the pair as "classic examples of the 'Now Generation.'" 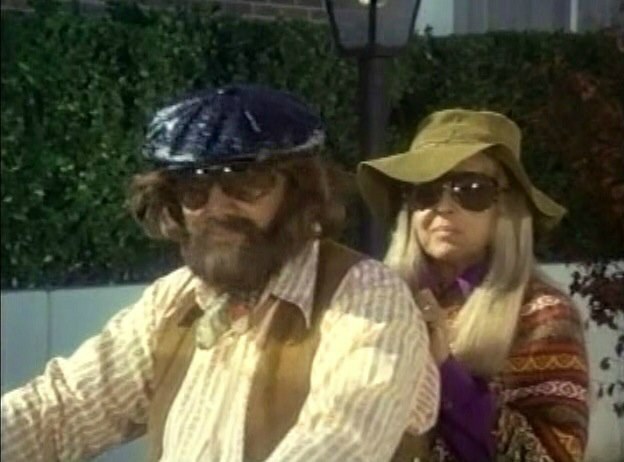 I will concede that Borgnine's disguise is effective, he even resembles Jerry Garcia, but Davis' costuming reads "senile bag lady" instead of "Manson-esque minimal criminal." Inevitably, a romance develops between the two, and it is the depiction of this kind of post-middle aged desperation that gives the movie its most power. Davis and Borgnine have precious little going for them, aesthetically, socially, or financially. Their moments together, at least when they aren't robbing banks, are spent reflecting on the poor quality of life for senior citizens. It is in these moments that the truth and poignancy of the film briefly shine through, but it isn't allowed to thrive against the backdrop of the movie's forced attempt at satirizing the countercultural movement. Davis' interactions with her children, both of whom only call when they need money, are heart wrenching, leading to a mildly satisfying ending where she hangs up on both of the ingrates, yet it's (very obviously) nothing compared to her stronger, earlier work. Final Verdict: This little oddity of a movie could very easily be remade today. If it were to place more emphasis on the aspect of aging in America with competent dialogue and directing, it could be a genuinely amazing film, a quirky tale of two senior citizens on a crime spree fighting back against the commonplace cruelties the elderly face daily. This film, however, is a futile exercise which ultimately squanders its potential, one that feels more like a poorly made ABC Movie of the Week than a feature film. I would only recommend this movie so that you could imagine how spectacularly a remake done right would be; the movie's potential is so abundant that it outshines the film itself, even bolstering it in some scenes. Redemption Approved.